The Ares is Dead! 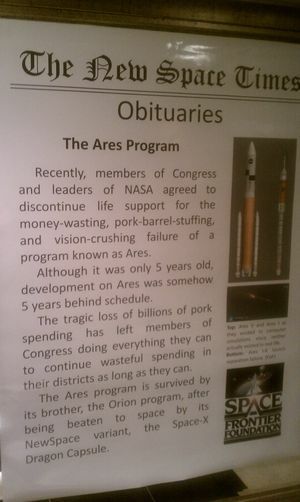 Long Live the Ares! 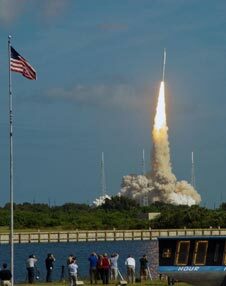 The Space Frontier Foundation had an Irish wake for the NASA’s Ares rocket program last night. This poster explains their antipathy toward the program. 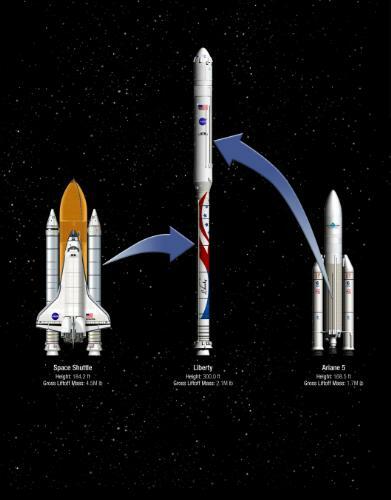 In reality, the Ares I rocket is dead, although ATK is trying to resurrect it as a commercial rocket using an Ariane 5 upper stage. 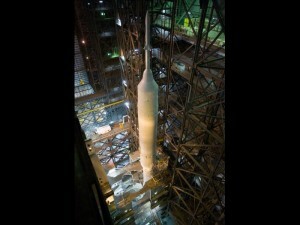 The Ares V (the larger rocket in the photo) should have been listed as a survivor; it has morphed into the Congressional-mandated Space Launch System. 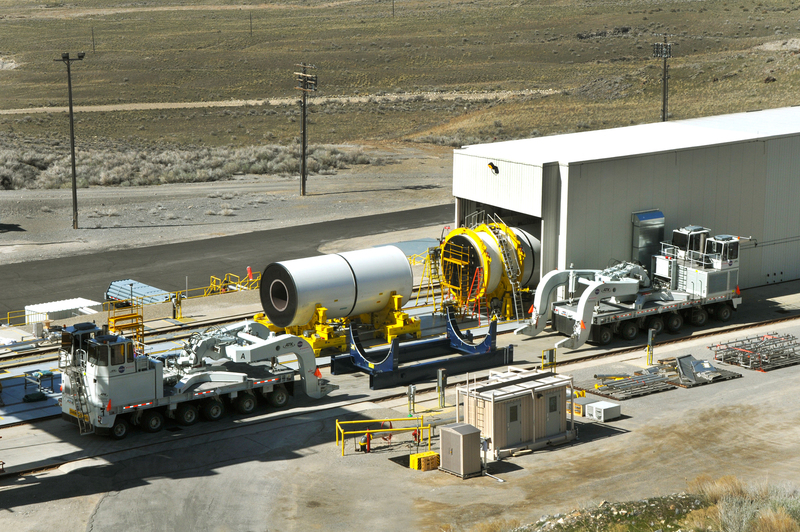 This week NASA and ATK are scheduled to perform the second test-firing of a five-segment solid rocket motor originally developed for the Ares 1. 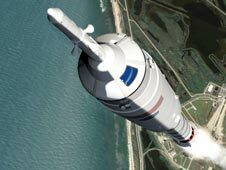 Jeff Foust describes the planning for the test and its significance given the uncertain future of NASAâ€™s human spaceflight plans. Earlier this month two Chinese satellites made a close approach to, and perhaps even made contact with, each other. 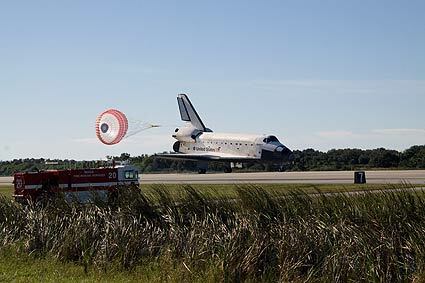 Brian Weeden examines the facts about this event and its implications for space security. This month marked the 50th anniversary of the first successful CORONA reconnaissance satellite mission. Dwayne Day reviews a recent book that examines the early history of CORONA and related efforts to track what was going on in the Soviet Union. Miles O’Brien talks to NASA Deputy Director Lori Garver, Sen. Bill Nelson, CSF President Brett Alexander, Scott “Doc” Horowitz and others about the space agency’s new direction. Parts 2 and 3 after the break. 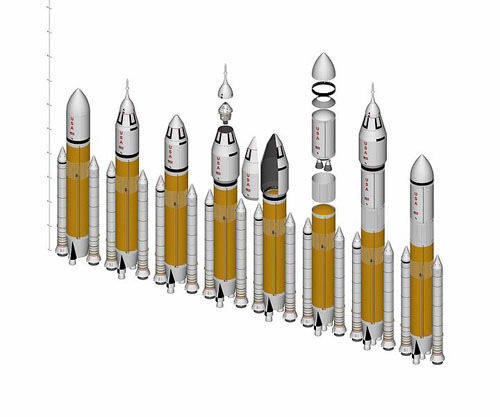 2010 will mark a number of key decisions for NASA, not least the potential switch from the current Ares I/V architecture to an alternative mix of commerical crew launch â€“ accompanied by a new heavy lift workhorse. A decision is expected to be announced early in the new year by President Obama, although at least three heavy lift vehicles â€“ including a huge 200mt vehicle â€“ were still being classed as options ahead of the Christmas break…. Video showing the Max Launch Abort System (MLAS), which NASA is considering as an alternative to the traditional escape tower for its Orion capsule. Space Frontier Foundation: Ares Must Die! Just Like We Told You So! 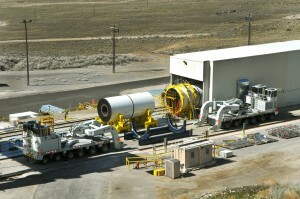 In the wake of the Augustine Commission’s declaration that the troubled Ares rocket program is unaffordable under any realistic budget projections, the Space Frontier Foundation renewed its call to immediately cancel the costly dead-end project and replace it with multiple commercial vehicles. “Three years ago we published Unaffordable and Unsustainable, declaring that government must henceforth ‘buy all crew and cargo services with a destination of low Earth orbit [from] commercial providers using privately-owned and operated spaceships’,” said Foundation co-Founder Bob Werb. For the first time in more than a quarter-century, a new space vehicle stands ready in NASA Kennedy Space Center’s Vehicle Assembly Building in Florida. The final segments of the Ares I-X rocket, including the simulated crew module and launch abort system, were stacked on Aug. 13 on a mobile launcher platform, completing the 327-foot launch vehicle and providing the first entire look of Ares I-X’s distinctive shape. 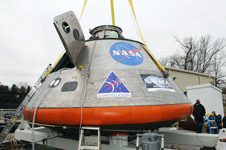 The Ares I-X flight test is targeted for Oct. 31.